Suffer Yourself plays a unique blend of funeral/death/doom metal, with a touch of dark ambient. 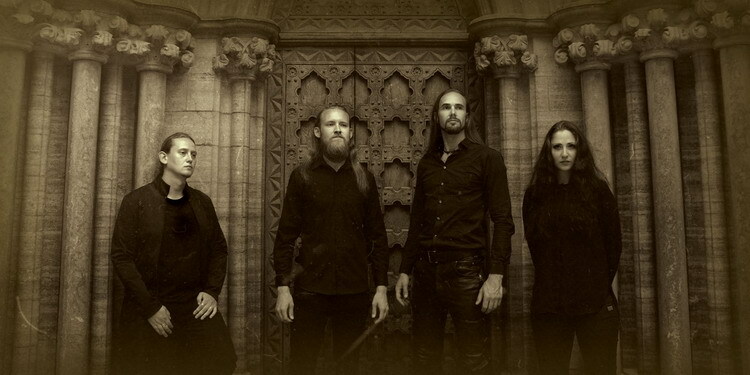 Beyond subgenres, the music is dark and atmospheric, drawing influences from all around the metal spectrum, which can be heard throughout its discography. During its history, Suffer Yourself has existed in several locations. It was founded in Poland in 2011, then moved to Ukraine, where it developed a fanbase and played number of concerts, finally ending up in Linköping, Sweden, where it received fresh blood in the form of new local members Lars Abrahamsson (guitar) and Malcolm Sohlen (bass). The first album, �Inner Sanctum�, was released in 2014 by Cimmerian Shade recordings (USA), a follow-up to a demo published in 2012 and later released on limited edition casette tape by Contaminated Tones (USA). The new album �Ectoplasm� was released by Satanath Records in association with More HateProductions in the end of 2016. Stanislav Govorukha - guitar, vocals, programming.